Newcomer Family Obituaries - Judith C Morgan 1936 - 2018 - Newcomer Cremations, Funerals & Receptions. Our Lord God took Judy Morgan away from her pain to heaven on Aug. 4, 2018. Judy and her husband were visiting their 4 children in the Atlanta area. After arriving Judy had to be taken to Northside Hospital in Atlanta. Judy was born in Toledo, OH, attended Gesu and graduated from St. Ursula, class of 1954. She attended the University of Toledo where she met her husband Fred Morgan of sixty years. Judy was a beauti-ful lady who was content with the simple things of life. 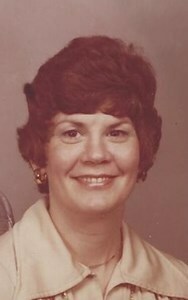 Judy loved God, her husband, her 8 children, her home and flowers. Nobody ever met Judy that did not like her. She had a wonderful personality and a winning smile. She will be greatly missed by her family and all who knew her. Judy is survived by her husband Fred, Maumee OH, her sons, Michael, Toledo OH, Fred, Maumee OH, John,Perrysburg, OH, Tim,(Blida), Alpharetta, GA, her daughters Kathleen Lyell (Peter), Blacksburg,VA, Deborah Hampel (James), Alpharetta, GA, Jennifer L’hommedieu (Chris), Roswell, GA, Annie Anop (Jeff), Milton, GA, and siblings, Kathie Pawlecki, The Villages, FL, Pat Schafer (Gary), The Villages, FL and Tom Downs (Ann), Maumee, OH, 11 Grandchildren and 2 Great Grandchildren. The family will recieve guests on Friday, August 10, 2018 from 4:00 p.m. until 7:00 p.m. with a Rosary to begin at 7:00 p.m.
A Funeral Mass will be held on Saturday, August 11, 2018 at 10:00 a.m at St. Patrick's of Heatherdowns Catholic Church, 4201 Heatherdowns Blvd, Toledo, OH 43614, with a graveside service to follow at Calvary Cemetery. Add your memories to the guest book of Judith Morgan.